Honda’s CR-V has been a top-seller for the Japanese automaker almost from the get-go when it was launched in the late 1990s, and it has benefited from Americans’ seemingly unquenchable thirst for crossovers, setting an all-time-high sales mark as Honda’s best-selling model in 2017. 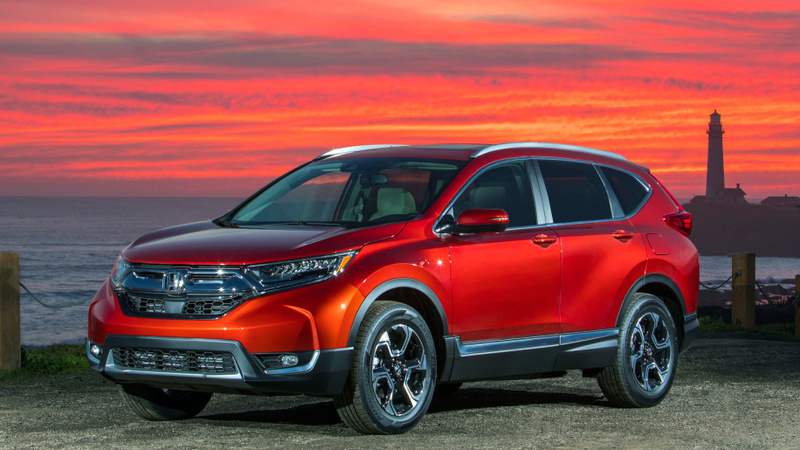 Honda redesigned the CR-V for 2017, introducing an upgraded version of the 1.5-liter turbocharged engine also found in the Civic, stretching the body to give it more interior space, and refining the driving experience. Nothing significant has changed for the 2018 model year. The CR-V is available in LX, EX, EX-L, and Touring trims. Don’t forget to visit the NHTSA and IIHS websites to review ratings on the specific vehicle you’re researching, since ratings may differ for CR-V models from other years. The CR-V seats up to five people, though headroom varies slightly across trim levels. It’s greatest in the LX, at 40.1 inches in the front seats and 39.2 in back. For the EX and EX-L, those figures are 38 inches and 39.1 inches, respectively, while the Touring offers 37.8 inches and 38.3 inches. Leg room is the same across all models: 41.3 inches in front and 40.4 in the rear. Cargo volume is also consistent across all trim levels: 39.2 cubic feet with the rear seat up, and 75.8 cubic feet with it folded down. By way of comparison, the 2018 Toyota RAV4, another top-selling compact crossover, offers 38.4 cubic feet of cargo room with the rear seats up, and 73.4 cubic feet when folded flat. What are the Honda CR-V’s engine specs and horsepower? The powertrain lineup for the 2018 CR-V carries over from 2017, with the choice of a 2.4-liter inline-four-cylinder or a 1.5-liter turbocharged inline-four, both paired with a continuously variable transmission and both available in either front- or all-wheel-drive configurations. The LX gets the 2.4-liter four-cylinder, which is rated at 184 horsepower and 180 pound-feet of torque. The EX, EX-L and Touring models come with the 1.5-liter turbo engine, which produces 190 hp and 179 lb-ft of torque.